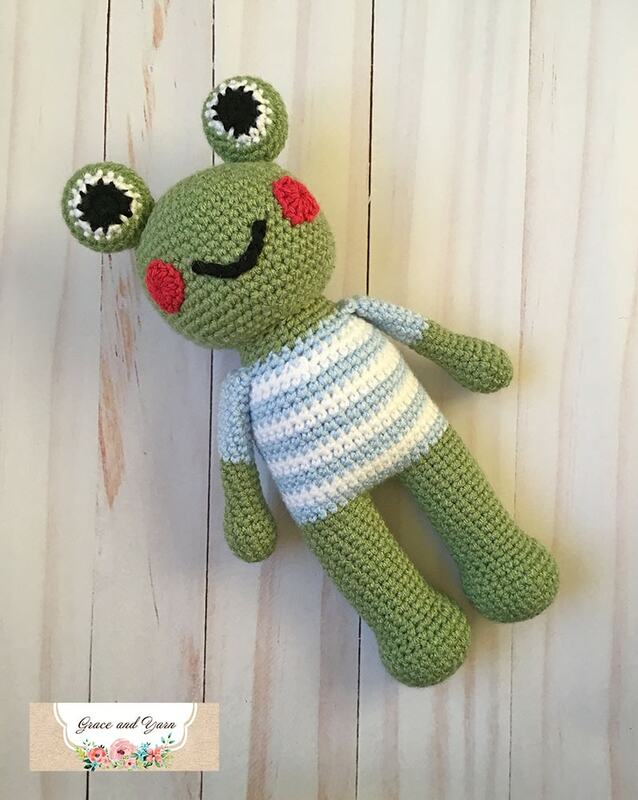 I'm excited to introduce you to Marshall the Frog! He's fun, loving and always ready to hop at the thought of an adventure. Marshall measures about 13 inches from eyes to feet and works up quickly. 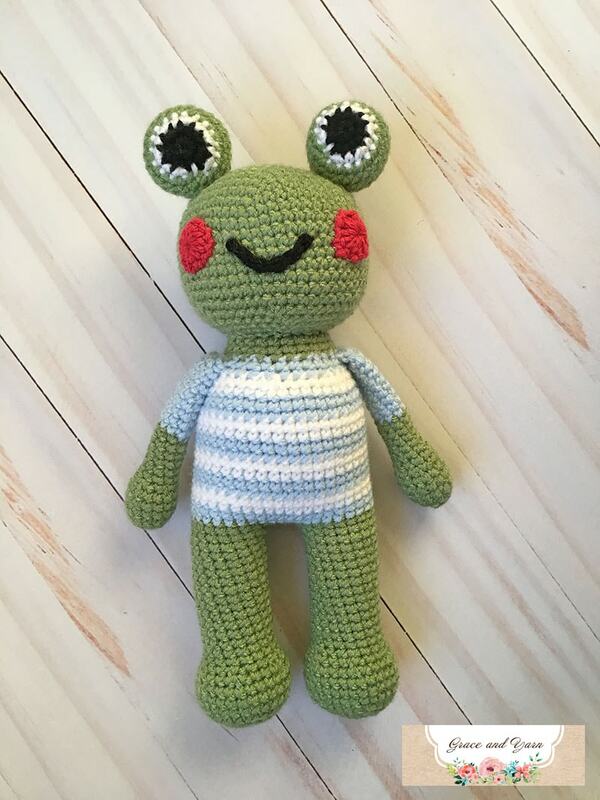 He's a sweet gift for a little one or perfect size to make up for a craft fair! If you would like a girl version you can find Mia here! This is also a great alternative to using safety eyes as they are made with black yarn. 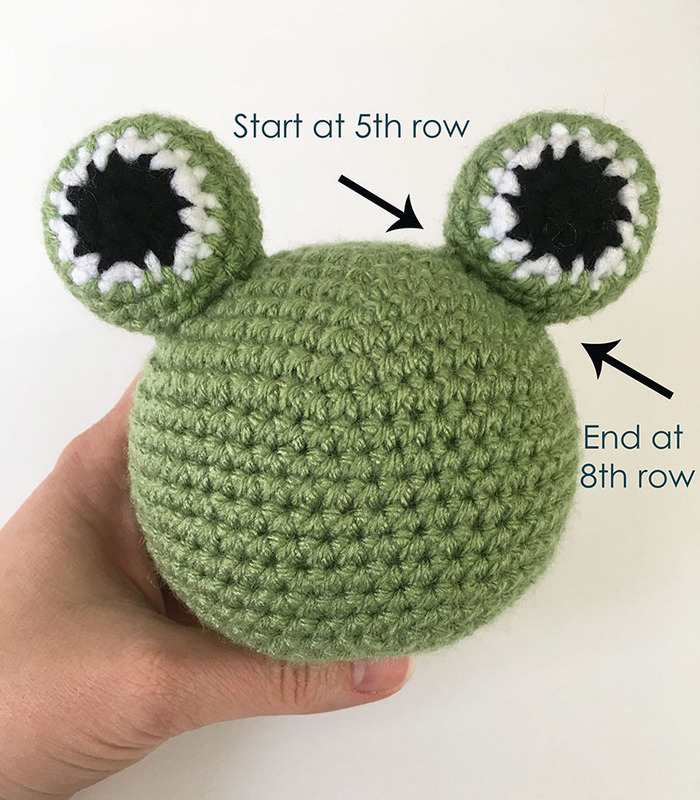 Your frog is complete! 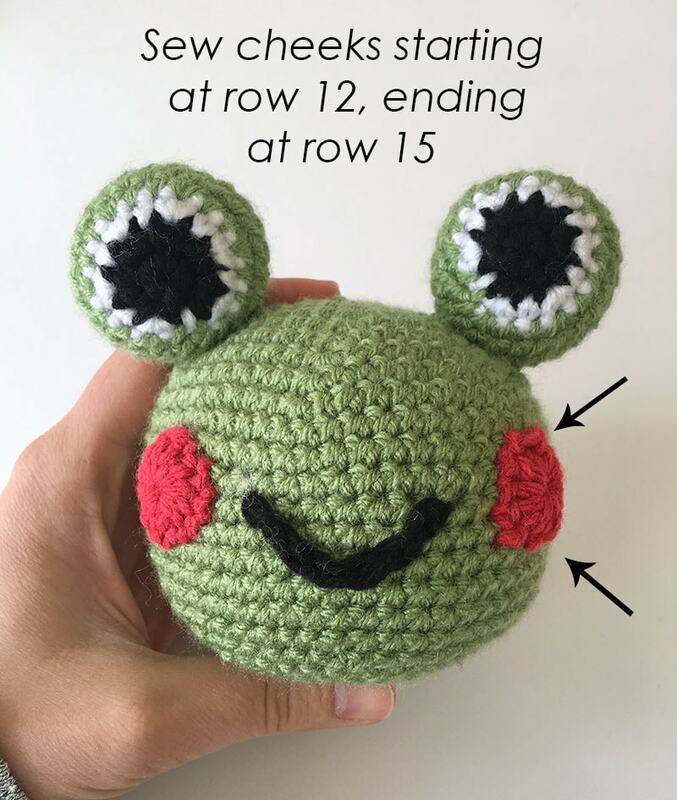 I hope you have enjoyed making this pattern. 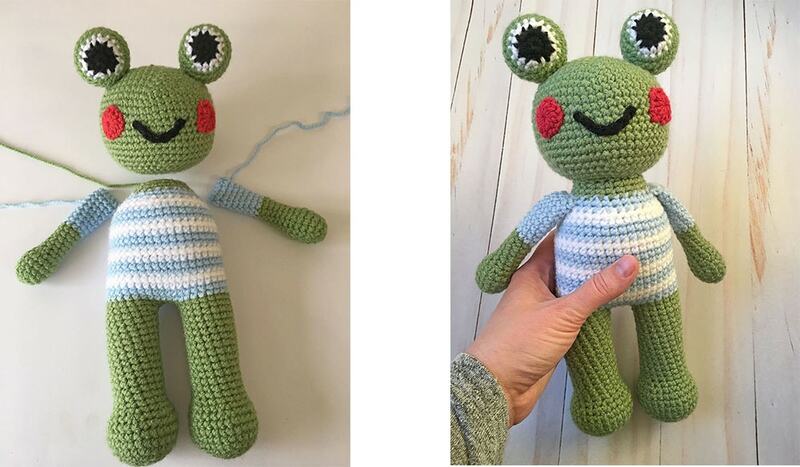 In fact, I would love to see your finished frog! You can follow me on Facebook to share and stay up to date on new patterns, tutorials and giveaways, hope to see you there.